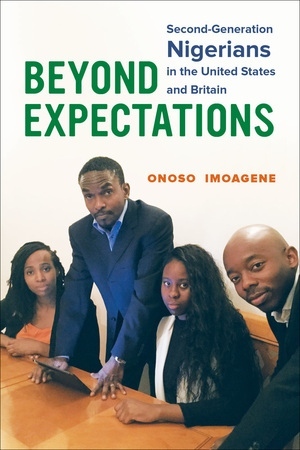 In Beyond Expectations, Onoso Imoagene delves into the multifaceted identities of second-generation Nigerian adults in the United States and Britain. She argues that they conceive of an alternative notion of "black" identity that differs radically from African American and Black Caribbean notions of "black" in the United States and Britain. Instead of considering themselves in terms of their country of destination alone, second-generation Nigerians define themselves in complicated ways that balance racial status, a diasporic Nigerian ethnicity, a pan-African identity, and identification with fellow immigrants. Based on over 150 interviews, Beyond Expectations seeks to understand how race, ethnicity, and class shape identity and how globalization, transnationalism, and national context inform sense of self. Onoso Imoagene is Assistant Professor in the Department of Sociology at the University of Pennsylvania.